Cameras make great gifts. And Amazon has huge discounts going on now for models in every price range. 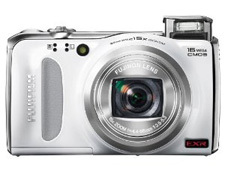 Some of the biggest savings come from cameras released in 2010, and these are well worth a look. Let's face it, there have been very few camera innovations in the last year, and there are excellent choices in the 2010 models. 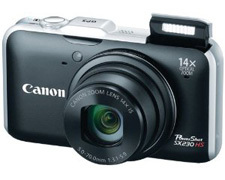 A basic camera with good image quality and simple controls, the 16-megapixel A3300IS has a wide-angle 5X optical zoom lens (28-140mm equivalent) with optical image stabilization and a 3-inch display. It also takes high-def 720p video. Waterproof to a depth of 10 feet, shockproof from falls up to 5 feet, freezeproof to 14 degrees, and dustproof. 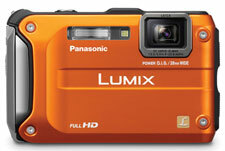 It shoots 14MP photos, 720p HD video and has a 4x optical zoom. 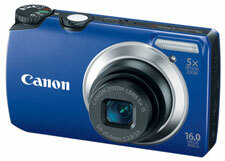 The Canon HS SYSTEM takes the frustration out of low light shooting , delivering clear, blur-free shots. 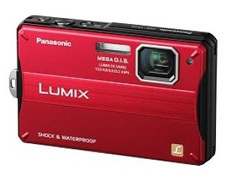 12.1 MP, Full 1080p HD Video, 14x optical zoom and a GPS tracker that records your location. 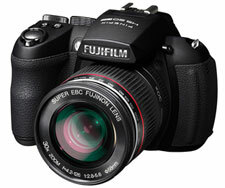 16 megapixel EXR CMOS sensor, a 15x wide-angle zoom lens, and Full HD video functionality. All in a stylish design and pocketable dimensions. Includes 4 GB SD memory card. An extremely rugged 12.1-megapixel camera that’s waterproof all the way down to 40 feet, freeze-proof down to 14 degrees F, shock-proof to 6.6 feet, dust-proof – in a word, family-proof. The hero feature here is the lens, an extraordinary 30x monster that goes from very wide (24mm equivalent) to super-telephoto (720mm equivalent) in an instant. The big, SLR-style body is very comfortable, effective optical image stabilization lets you handhold even long-distance shots, and there’s even a hot shoe if you want to add an external flash. The HS20 also shoots full HD 1080p video. This retro-looking compact interchangeable-lens camera weighs just over a pound, making it easier to schlep than a conventional digital SLR. The 12.3-megapixel E-PL2 provides a dual-menu system that lets beginners and experienced photographers customize the shooting experience to their skill levels.